Angels are all around us--especially at Christmas! Greg Bennett hates Christmas. Divorced, almost friendless and about to lose his business, he has no time for what he considers sentimental nonsense. It takes three irrepressible angels to show him the truth. Shirley, Goodness and Mercy shall follow him--until he learns what Christmas is all about! Those Christmas Angels come down to earth again to respond to Anne Fletcher's prayer request. She wants her son, Roy, to meet a special woman--and the angels contrive to throw Julie Wilcoff in his path (literally!). Another Christmas, another angelic rescue. The three heaven-sent messengers reunite a divorced couple, bring peace of mind to an elderly man and grant a little boy's fondest wish. Because there's always joy Where Angels Go. 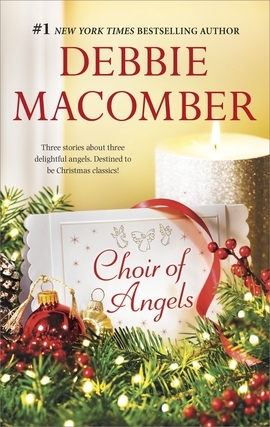 Three stories of hope and seasonal cheer from Debbie Macomber, Official Storyteller of Christmas!